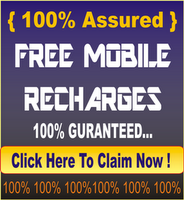 Ultoo is the one of the well known website that allows you to earn free mobile recharge.you can recharge you mobile for free with total amount you earn on the ultoo website.you can earn money by different ways like participating daily poll that will generates 1paisa for one question or by sending Sms to your friends. But the main problem is ultoo application id only available for smartphones like apple,android,blackberry etc. So I Found The Application For Easy To Use Without Logon Pc. thanx for giving ultoo jar application. ultoo is great for earning......this app is really works. After downloading i m use this app one time andnext time when i am opening it it was not opened so what can i do..? What is problem...? Thanx for sharing ultoo java aplication.